Our assignment for this month is to show off the great products available in the second release Sale-a-Bration brochure. You can download a copy of this brochure by clicking on it below. So, I chose to showcase the Blossoming Basket Bundle (147505)! This bundle is available for FREE with $100 qualifying order. It includes the Blossoming Basket stamp set in wood or clear-mount PLUS the Basket Weave Dynamic Textured Impressions Embossing Folder! For my projects, I was inspired by so many different cards out there on Pinterest. Using these two products in combination are great! But, I opted to use them separately. Well, this was really just an excuse to use that gorgeous metallic trimmed Berry Burst Ribbon. I used a Blender Pen to color in the basket using Crumb Cake and Early Espresso, the flowers using Berry Burst and Crushed Curry, and the leaves are Old Olive. But, I didn’t stop there… That sparkley ribbon needed a friend… and what better friend to have than Wink of Stella!!! Stella always come through for that special touch. The next card was inspired by Erica Cerwin. While I am not sure if she was the first to do this, but I can confidently say that she will not be the last! Yes folks, I created a cherry pie out of that cute little basket weave folder! What do you think? Good enough to eat, I think! After all, today is Pi Day (3.14) and what better way to celebrate than with a card! Cut the circle using the Stitched Shapes circle BEFORE embossing. Rub your folder with Early Espresso ink to highlight the weaving. Don’t forget to include a fluted crust by using a scalloped Layering Circle die. Flick Early Espresso around the edges of both the circle and the scalloped circle (and the piece) to create more dimension. Drawing lines on the back made it easier for my OCD-ness to create the piece of pie. To create the juice cherry filling, I colored each square with the Cherry Cobbler Stampin’ Write Marker then dropped a tiny drop of the Fine-Tip Glue into each square. Since the ink is water-based and the glue is wet, the glue grabs the color a bit and, when the glue dries… it is shiny!!! I have heard tale of people that use reinkers to color their glue… that is another option but one I haven’t done yet. So, that’s what I have for you today! Oh wait… before you go… One more little surprise. 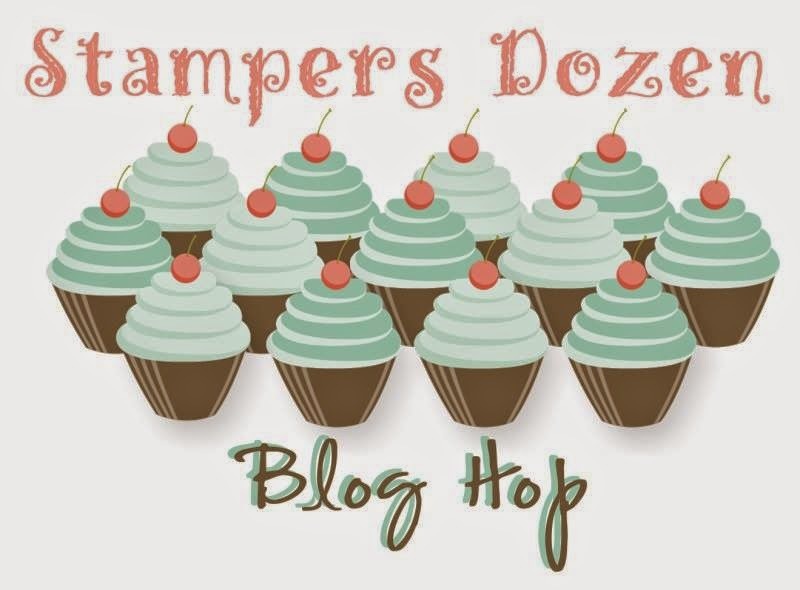 Stampin’ Up has added a few more things to end out Sale-a-Bration with a BANG!!! They are adding the items below to the Sale-a-Bration starting MARCH 15th (that’s tomorrow!) Click on the graphic below to download the flyer! or if you are traveling the other direction today… hop over to Debbie Naylor.